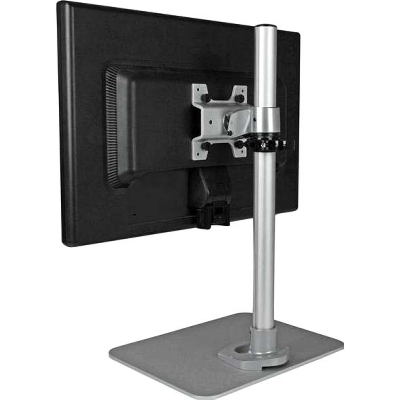 "The adjustable monitor stand lets you mount a display on your desk, with tilt, pivot and height adjustments for perfect positioning. 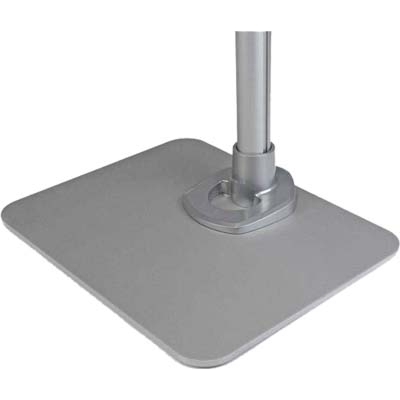 "The ARMPIVSTND desktop monitor stand supports a 12 to 30 inch monitor, and allows easy adjustment of monitor height, position and viewing angles." 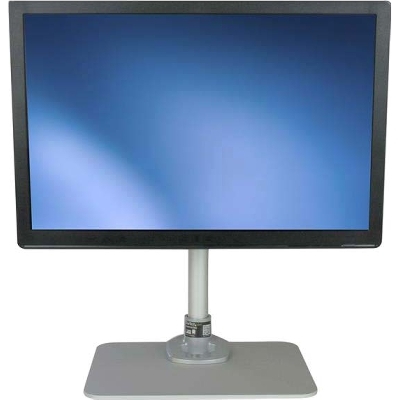 The monitor stand holds most common displays with ease, supporting monitors from 12 - 30" up to a maximum weight capacity of 30lbs (14kg). For added flexibility, you can use the included hardware to mount your Apple Cinema Display, Thunderbolt Display or Apple iMac. 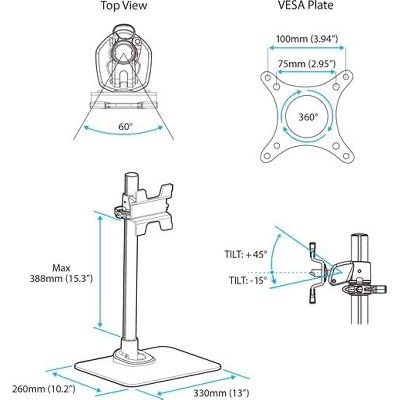 The stand works with any Apple Cinema Display or Thunderbolt Display that came with a removable stand or built-in VESA mount adapter. 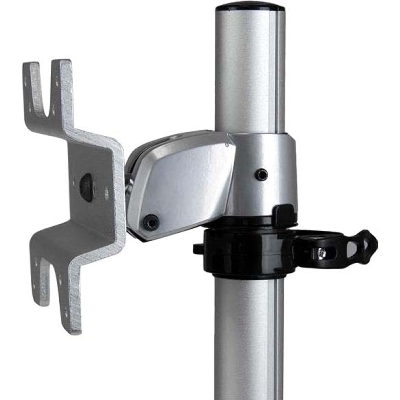 It also works with the 24-inch iMac and 27-inch iMac with a removable stand, or with a built-in VESA mount adapter. The ARMPIVSTND is backed by a StarTech.com 5-year warranty and free, lifetime technical support."